The Best Offer A lonely art expert working for a mysterious and reclusive heiress finds not only her art worth examining. Elysium In the year 2154, the very wealthy live on a man-made space station while the rest of the population resides on a ruined Earth. A man takes on a mission that could bring equality to the polarized worlds. The Hobbit: The Desolation of Smaug The Dwarves, Bilbo and Gandalf have successfully escaped the Misty Mountains, and Bilbo has gained the One Ring. They all continue their journey to get their gold back from the Dragon, Smaug. At Middleton Two parents fall in love over the course of a single day while playing hooky from their children's college tour. Parkland A recounting of the chaotic events that occurred at Dallas' Parkland Hospital on the day U.S. President John F. Kennedy was assassinated. 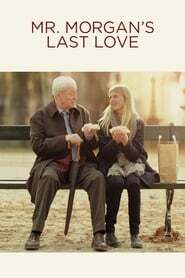 Mr. Morgan’s Last Love He's a widower in Paris who speaks no French; she's a dance instructor less than half his age. Can they become a family, or will his estranged adult children halt the friendship? Baggage Claim Pledging to keep herself from being the oldest and the only woman in her entire family never to wed, Montana embarks on a thirty-day, thirty-thousand-mile expedition to charm a potential suitor into becoming her fiancé. Dragon Ball Z: Battle of Gods The Z-Fighters must contend with Lord Beerus, the God of Destruction, but only a God can fight a God, and none of them are Gods. However with the creation of the Super Saiyan God, will the Z-Fighters be able to defeat Lord Beerus? Olympus Has Fallen Disgraced Secret Service agent (and former presidential guard) Mike Banning finds himself trapped inside the White House in the wake of a terrorist attack; using his inside knowledge, Banning works with national security to rescue the President from his kidnappers. Iron Man 3 When Tony Stark's world is torn apart by a formidable terrorist called the Mandarin, he starts an odyssey of rebuilding and retribution. Grand Piano Moments before his comeback performance, a concert pianist who suffers from stage fright discovers a note written on his music sheet. G.I. Joe: Retaliation Framed for crimes against the country, the G.I. Joe team is terminated by Presidential order. This forces the G.I. Joes into not only fighting their mortal enemy Cobra; they are forced to contend with threats from within the government that jeopardize their very existence. 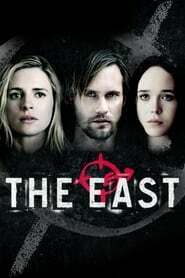 The East An operative for an elite private intelligence firm finds her priorities irrevocably changed after she is tasked with infiltrating an anarchist group known for executing covert attacks upon major corporations.